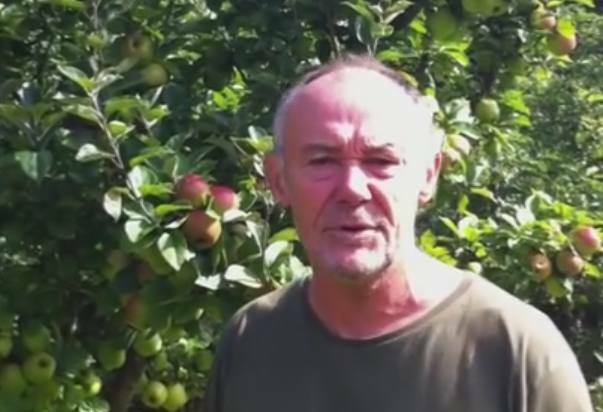 In this short video, Ian Sturrock, Welsh fruit tree expert explains why you should thin out the apple crop, when to thin the apples and how to thin the apples. Thinning apples produces larger and healthier fruits. The reason larger are better is that we eat the flesh of the apple but discard the core. In smaller fruits the proportion of core to flesh is higher so we end up with far less edible apple than with larger fruits. The tree also puts more energy into producing the core and seeds than into the flesh. So reducing the amount of cores the tree creates means more efficient use of the tree’s energies. Because left to themselves apples will be crowded, any disease afflicting one apple will quickly and easily spread to the neighbouring fruits. So thinned apples are not only larger, but healthier as well. Apples produce an over-abundance of fruits which is naturally reduced by the ‘June drop’. The June drop is nature’s way of reducing the amount of fruit and concentrating energies. Apple Sawfly also causes the tree to lose fruits, typically 10% of the crop. The right time to thin apples from the tree is after both the June drop and any fruit fall caused by the sawfly. I.E. the end of June is time to thin the crop. How much to thin depends on type of apple. Eating apples are usually best thinned to one every 4” (10cm) but cooking apples where we like a larger fruit are thinned down to one every 6” (15cm). Allowing the tree to over-produce also encourages biennial cropping. The tree exhausts its reserves and doesn’t produce any fruit the following year. So over cropping results in a crop every other year. 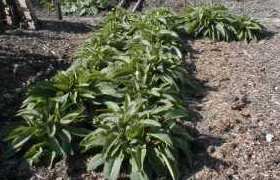 Some varieties are more prone to biennial cropping than others but whatever variety you are growing may fall into this situation. 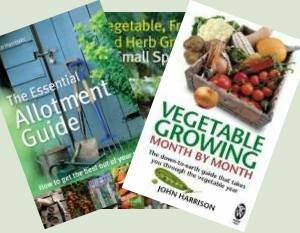 Ian Sturrock is an expert on Welsh fruit trees. He re-discovered and saved the Bardsey Apple from the Island of Bardsey off the coast of North Wales. He supplies a large range of unusual varieties of apple and other fruit trees from his nursery near Bangor, Gwynedd.